Product categories of Electric Linear Actuator, we are specialized manufacturers from China, Electric Linear Actuator, Electric Actuator suppliers/factory, wholesale high-quality products of Fast Linear Actuator R & D and manufacturing, we have the perfect after-sales service and technical support. Look forward to your cooperation! G-motor Linear Actuator 12v can be used for Adjustable Desks.Our electric lift actuator can be adjusted to any height so that it can fit different working position or stature.Also,the Linear Actuator bed lift is designed ergonomic,which means all users have a comfortable and healthy life. They are low noise, fast responded and heavy duty(could load 600kgs). 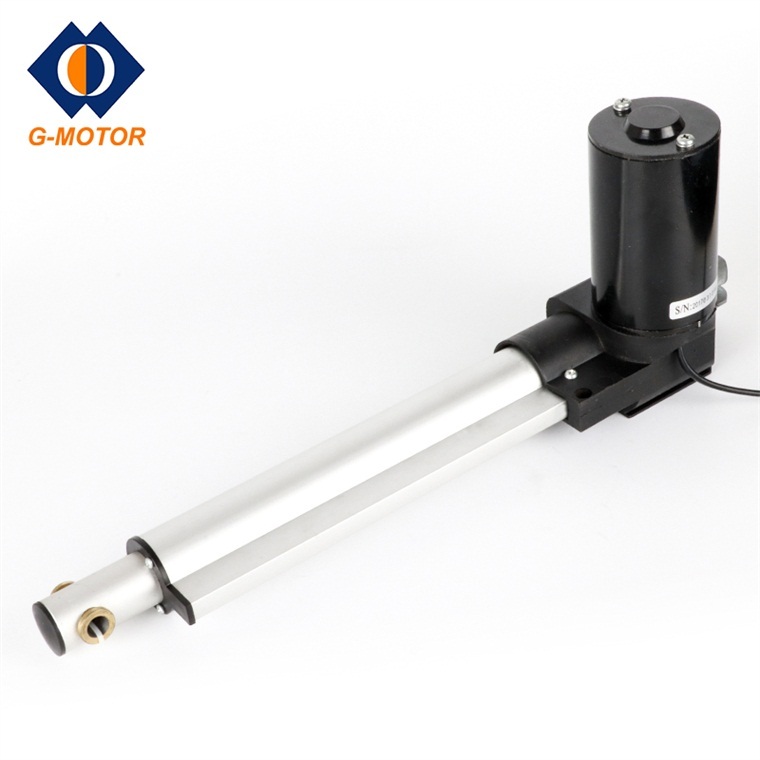 comparing with hydraulic and pneumatic counterparts,Electric Linear Actuator are more cost-effective.Electric Actuator are cleaner, simpler, and more energy-efficient power transmission.G-motor's Fast Linear Actuator can be equipped with controller,adapter and easier with programmable controls.